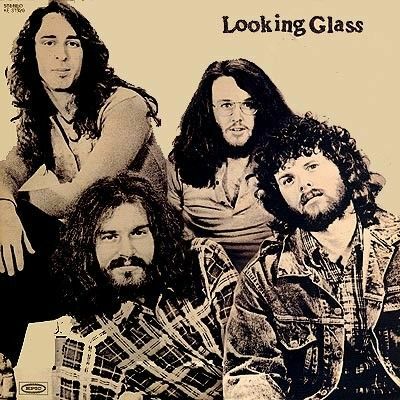 Looking Glass – Looking Glass – But Is It Any Good? OTHER SONGS YOU MAY KNOW: Oh, that’s rich. WHAT’S IT ALL ABOUT: As it happens, rock band releases pure 70’s pop single, tries to make an album to support it, and it doesn’t really work out. SOME WORDS, PHRASES AND CLAUSES ABOUT THIS RECORD: Now, this isn’t SO bad. Brandy, of course, is a great song no matter what you think about it (cheesy, yes, but a great tune). Jenny Lynne is a fine rocker that should have been a single, and there are some bright spots amongst the filler. Side two is where this breaks down. They were a boogie band that shifted gears to more of an AM pop feel. Didn’t quite work – the material’s not as good and they don’t seem into it. I was expecting a lot worse (Brandy with Jenny Lynne and some crap we had to throw out there…) but I’m not going to keep it all. NOTES & MINUTIAE: Columbia had them go to the studio three times to get an album, and on the third try they got Brandy in the can. GRADE: C: Brandy and Jenny-Lynne stay. The rest EXILED but not in a hateful manner.